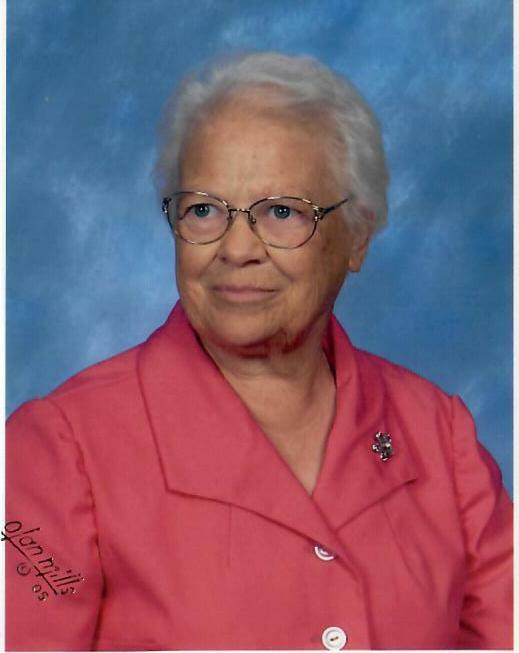 Violet Basnight Smith, 84, of Dillwyn passed away on January 18, 2019. She was born August 15, 1934 in Princess Anne County to the late James Allen Sr. and Maggie Smith Basnight. Violet was preceded in death by her husband of 46 years, Burwell Shepard Smith, Sr.
Violet is survived by her son, Burwell (Tad) Shepard Smith, Jr., daughter-in-law, Adela Cristina and grandson, Martin Salazar Smith. Violet leaves behind many nieces, nephews, cousins and dear friends of Salem United Methodist Church and community. In addition, Violet was preceded in death by her sister, Estelle Basnight Marks and her brothers, James Allen Jr., Edward Foster and Howard Ernest Basnight. Many will remember Violet as a seamstress and maker of quilts. Others will remember her for her catering and delicious wedding cakes. In her later years, Violet worked at Tipton’s Midway Grocery where she was known to all by the name “Auntie”. Her official title at the store was “Pastry Chef” baking tasty confections for patrons. Members of Salem UMC will remember Violet as a tireless servant of the church. Through the years, she served on the board of directors, as a trustee, treasurer for the cemetery and Sunday School teacher. Funeral services will be held at Salem United Methodist Church on Saturday, January 26, 2019 at 12:00 noon with interment at the Salem UMC Cemetery. The family will receive friends at the church one hour prior to the service. Memorial contributions can be made to Salem United Methodist Church, 2160 Ca Ira Road, Cumberland, VA 23040. Dunkum Funeral Home is serving the family.